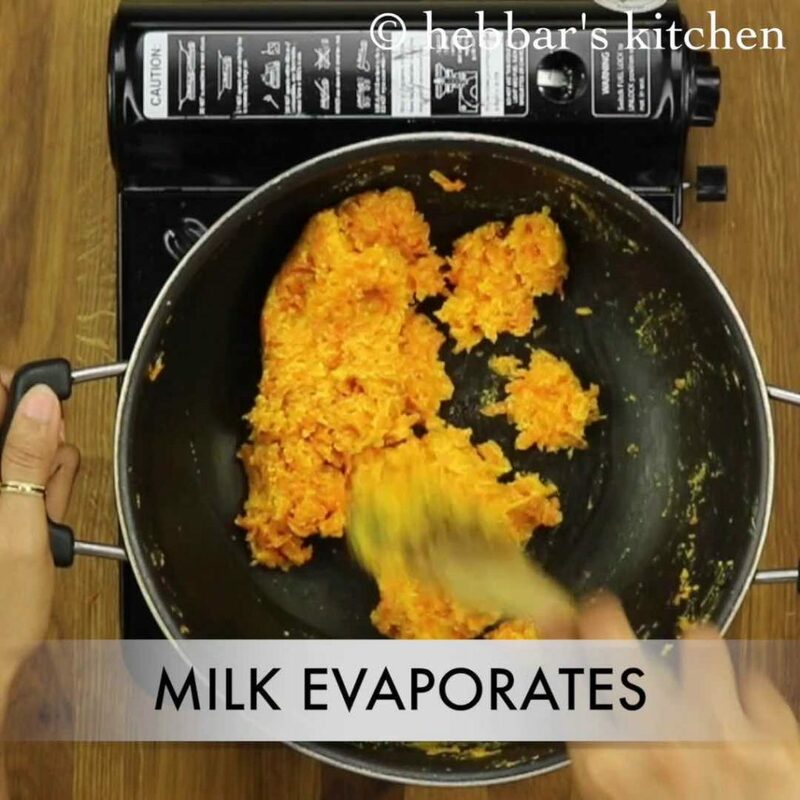 gajar ka halwa with milkmaid | carrot halwa recipe with condensed milk with detailed photo and video recipe. 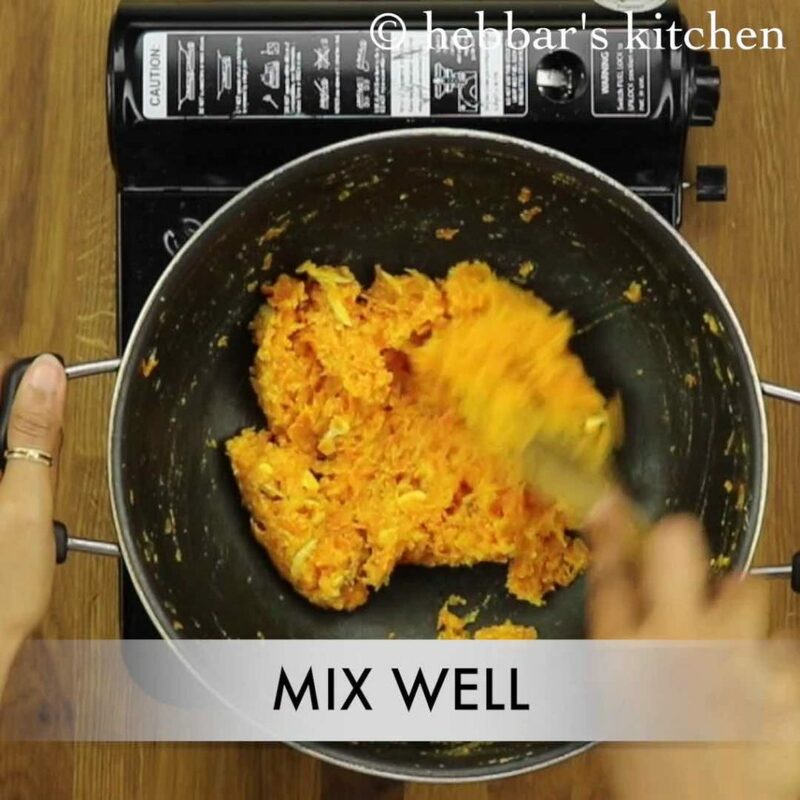 this is a easy, quick and simple recipe of gajar halwa recipe prepared with no added sugar. it is typically prepared during festivals season like diwali, navaratri as dessert recipe. 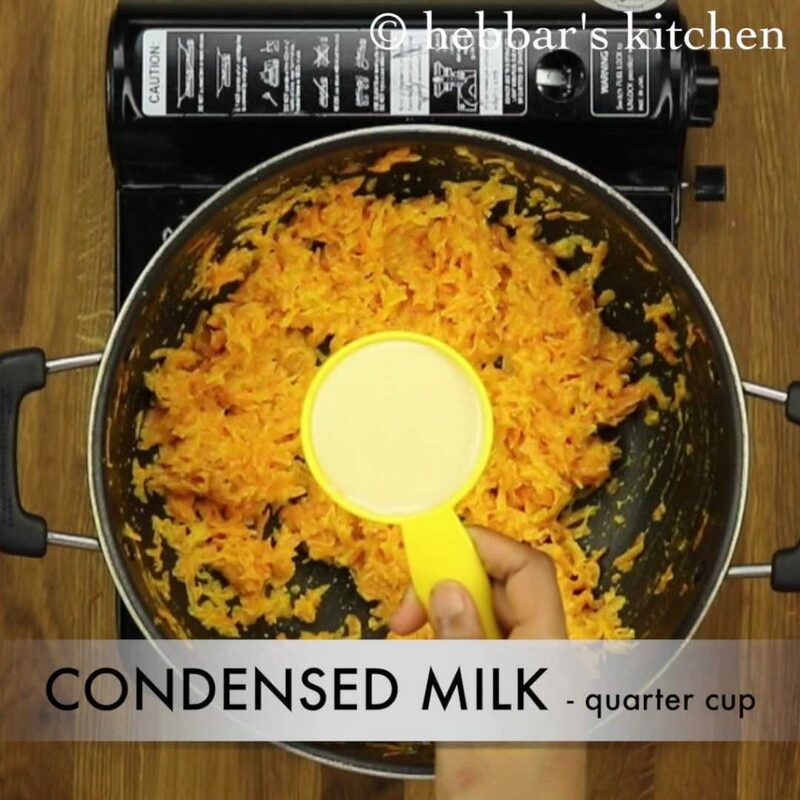 gajar ka halwa with milkmaid | carrot halwa recipe with condensed milk with step by step photo and video recipe. 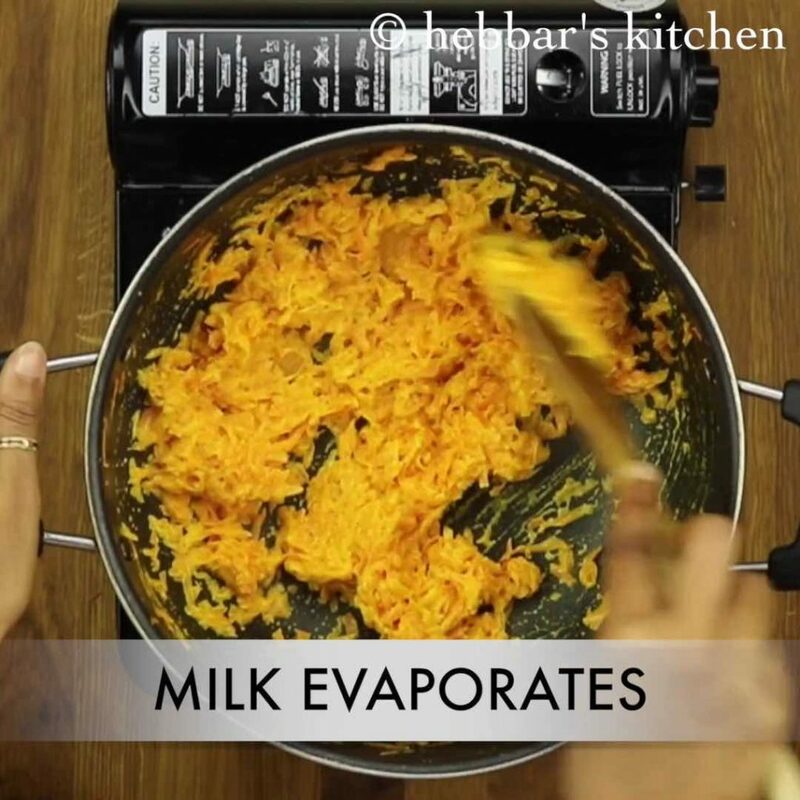 basically a cheat or instant version of carrot halwa prepared and cooked with condensed milk or sweetened evaporated milk. 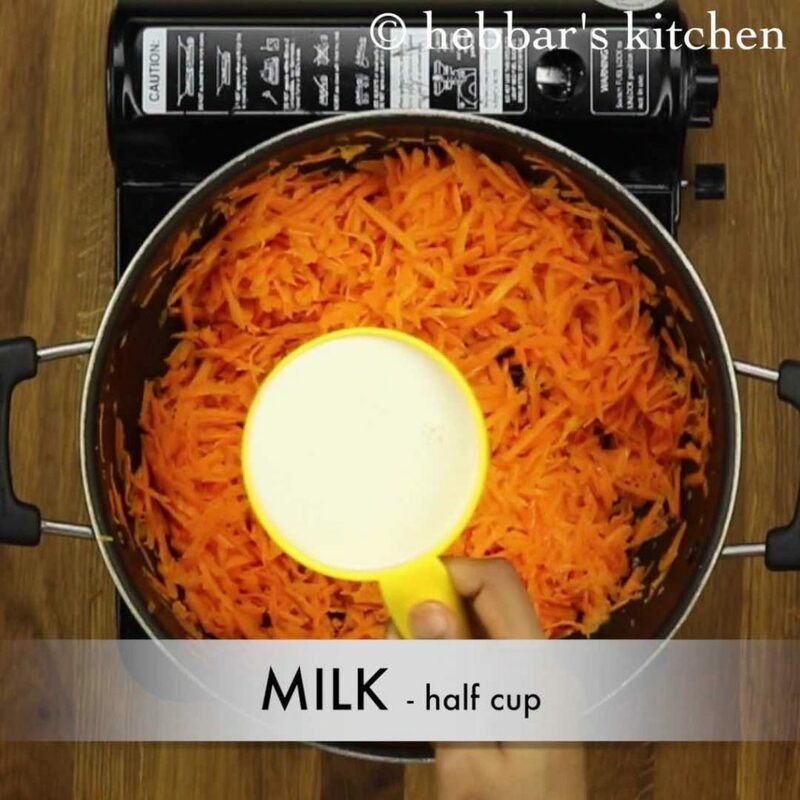 traditionally, grated carrots are boiled and cooked in milk till it turns to be thick. 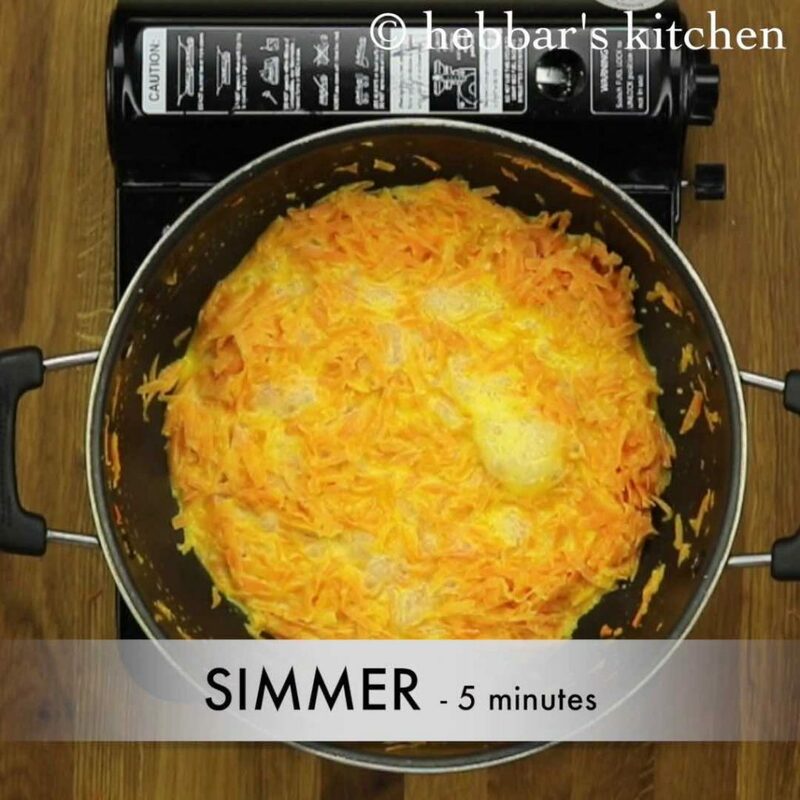 however, in this recipe, grated carrots are cooked in milkmaid which is already thick to fasten the complete process. 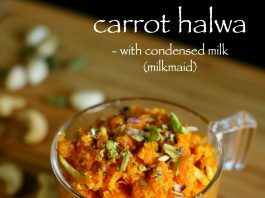 perhaps carrot halwa recipe is my first dessert recipe after i started to cook for my own. i still remember, i had prepared this recipe for my brother for raksha bandhan. while, my brother did not like it, but i loved, perhaps because i had prepared it. 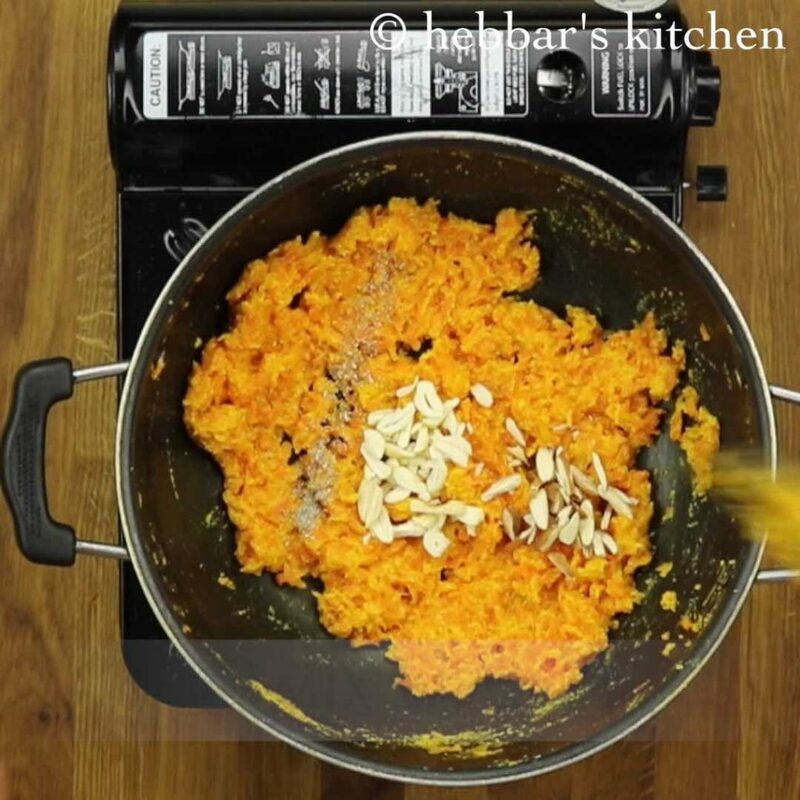 gajar ka halwa is very special for my brother and he likes the traditional way of carrot halwa. but i had chosen the milkmaid option as it was easy and quick. in other words, you would be reducing almost 30 to 40 minutes in boiling the milk and reducing it to half. 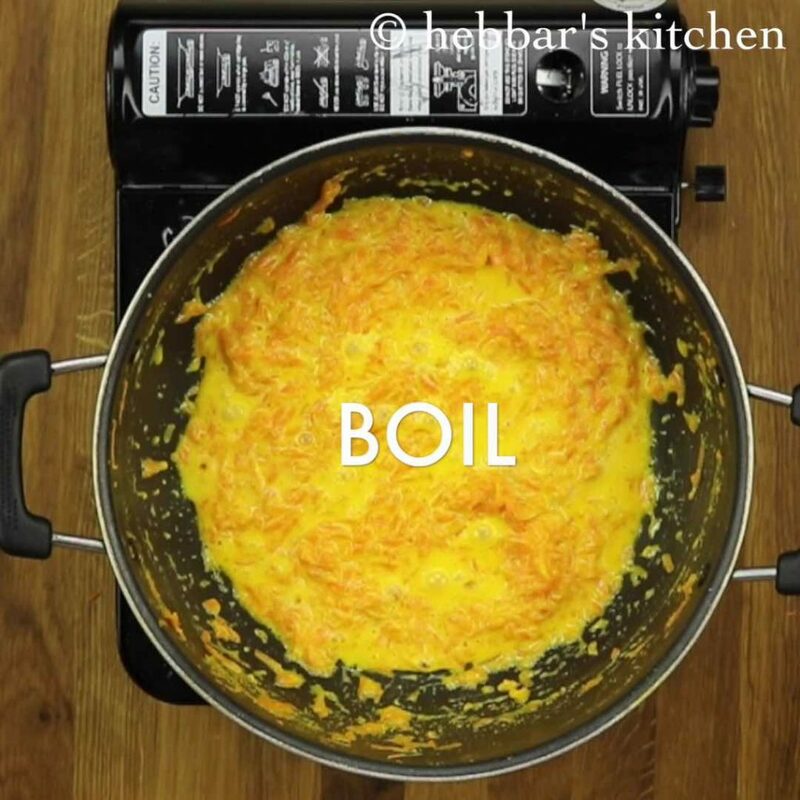 besides, some important tips and variations for perfect gajar ka halwa recipe. firstly, i have not added extra sugar in this recipe. however if you desire for some more sweetness you are more than welcome to add as per your preference. secondly, if you are in hurry, then you can even pressure cook the grated carrot and condensed milk for a whistle. after one whistle, open the lid and cook on high flame stirring continuously until all the milk evaporates. lastly, carrot halwa is open ended for adding dry fruits. you can add any available dry fruits to this recipe. 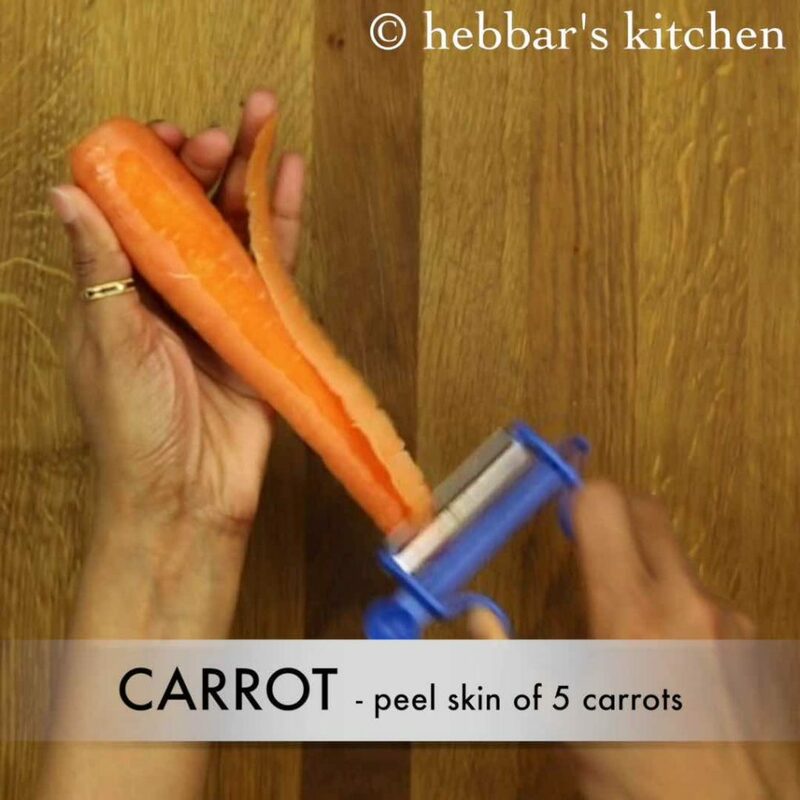 firstly, peel the skin of carrot. carrot halwa taste great when prepared with red carrot. however, we don't get red carrot, so used normal carrots. 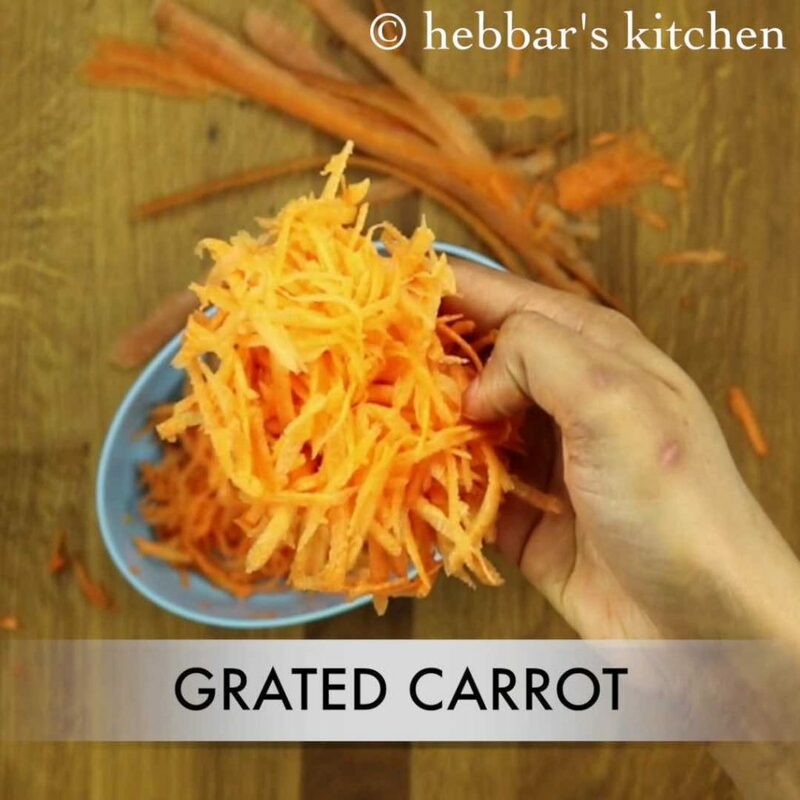 later, grate the carrot into long threads as possible and transfer to kadai. further, add a tbsp of ghee and saute for 3 minutes. 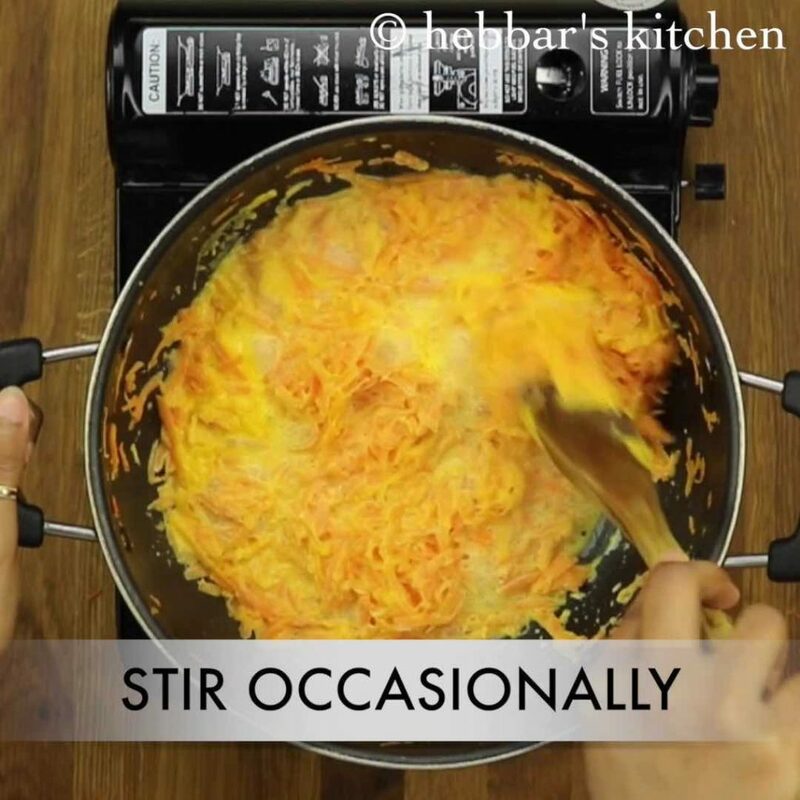 this helps carrots to cook fast and also retain their shape even after cooking. also add half cup of milk and mix well. note, we are adding milk just to cook carrots. get to boil and keep stirring occasionally. making sure carrots are uniformly cooked and doesn't get burnt from the bottom. furthermore, add condensed milk / milkmaid and mix well. note, we are not adding any extra sugar, as the condensed milk do contain sweetness. get to boil and keep stirring occasionally. making sure carrots are completely cooked and doesn't get burnt from the bottom. keep mixing and mashing till the milk evaporates completely. also add cardamom powder, cashews and almonds. 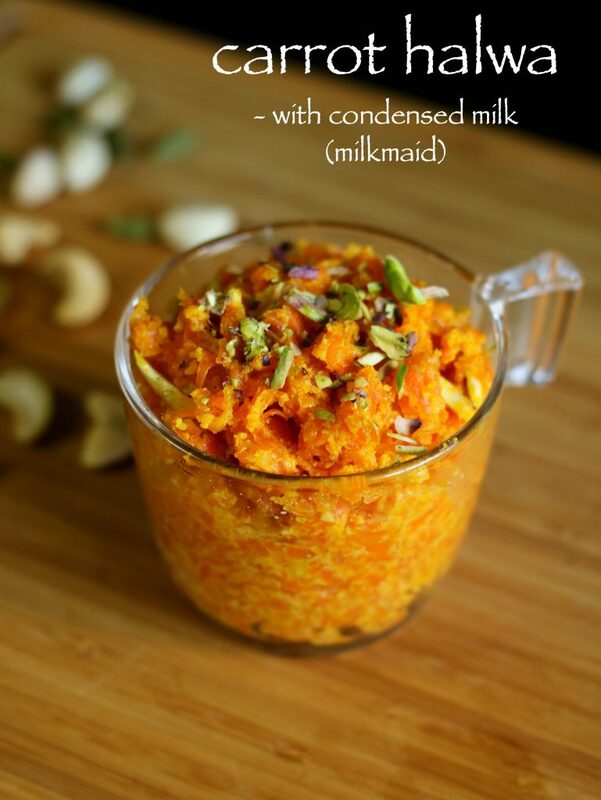 finally, serve carrot halwa prepared from condensed milk garnished with chopped pistachios. firstly, peel the skin of carrot. 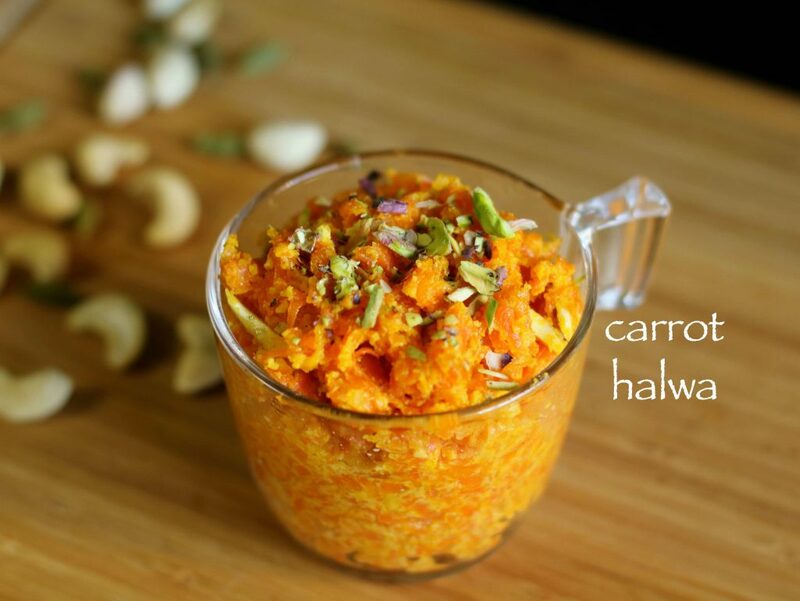 carrot halwa taste great when prepared with red carrot. however, we don’t get red carrot, so used normal carrots. get to boil and keep stirring occasionally. making sure carrots are uniformly cooked and doesn’t get burnt from the bottom. get to boil and keep stirring occasionally. making sure carrots are completely cooked and doesn’t get burnt from the bottom. 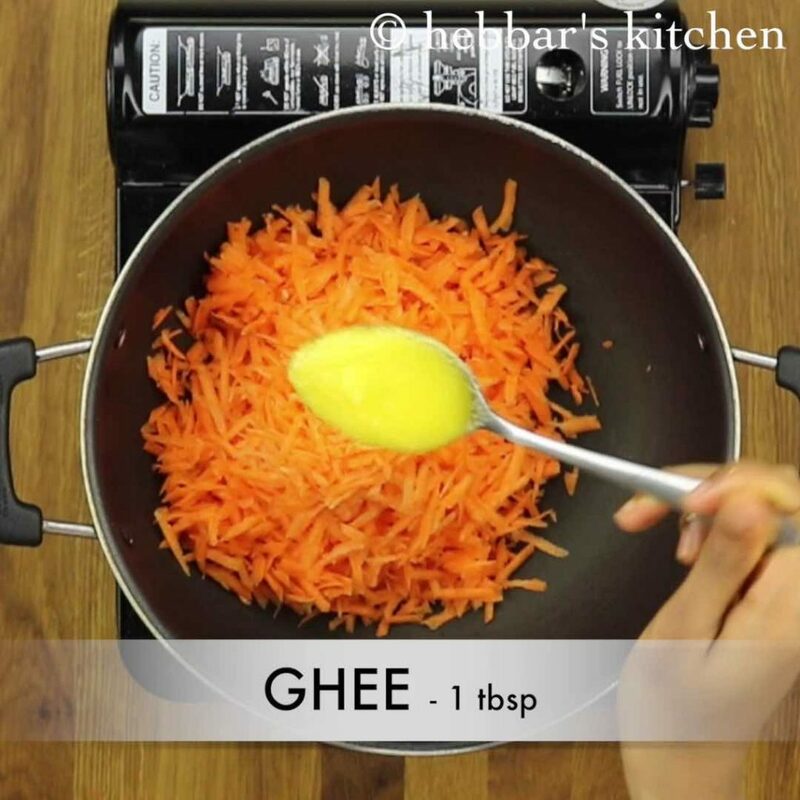 firstly, use fresh carrots to prepare gajar ka halwa. as they are more juicy and sweet. furthermore, add more condensed milk if you are looking for sweeter taste. also add mawa /khova / khoya to make carrot halwa more rich and tasty. finally, serve hot gajar ka halwa / carrot halwa with cold vanilla ice cream. One could add khoya(mava) instead of condensed milk, North India style. Superb! i tried this and it came out perfectilicious!!!! the amendments we did was doubling the milkmaid… Awesome Keep it up dear!! !